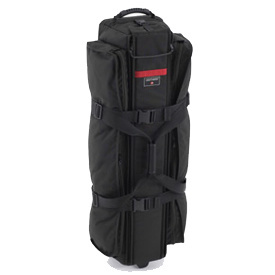 Think Tank bags have a reputation of selling the most reliable bags a photographer can have. This backpack style bag is great for traveling. 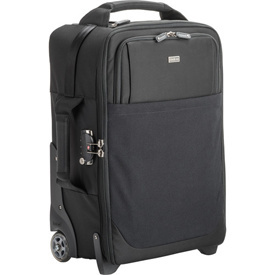 This roller bag is perfect for taking through airports and fits well into overhead compartments. 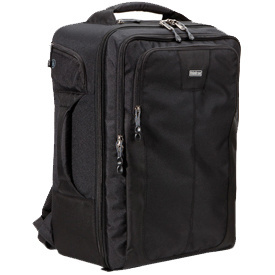 Think Tank also offers other roller bags that work well including the Think Tank Photo Airport International V3.0 Carry On and the Think Tank Photo Airport AirStream Rolling Camera Bag. 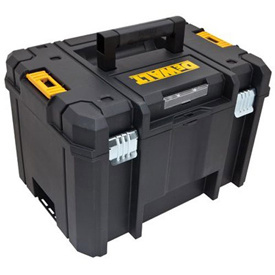 This carrier system from DEWALT makes transporting lots of different cases very easy. These modular boxes stack perfectly on the DEWALT Trolley and are useful for organizing and easily transporting a variety of odds and ends to and from shoots. It's nice to have a longer bag to carry light stands and backgrounds. 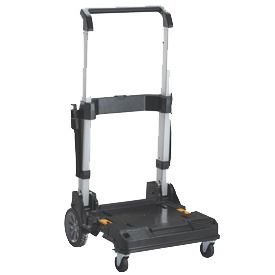 Like the ThinkTank roller bags, having a bag with wheels when traveling through airports is a must.